The Lord has gifted the ING Province, 9 new postulants who have stepped into another stage of formation in their life on 7th October. The prayerful ceremony began at 9.30 a.m. in the presence Sr. Elizabeth George, the Provincial and the Sisters of the neighbouring communities. The new postulants entered the chapel with clay pot and clay in their hands as they have chosen their theme “You are the potter, I am the clay”. 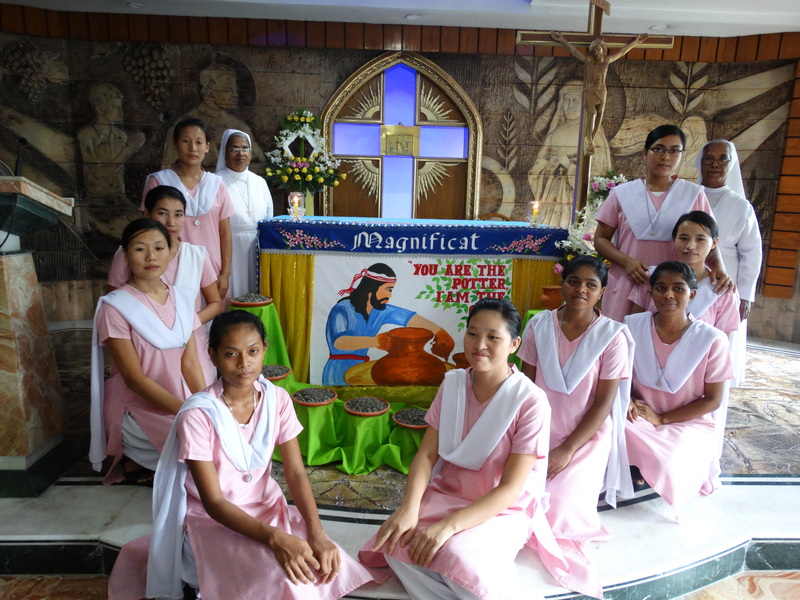 Sr. Elizabeth George, exhorted them to be strong in their vocation for the Lord has found favoured with them. The Postulancy medal was then presented to each while the song ‘Lord you called me’ was being sung by the 24 Aspirants. As we thank God for the gift of these new Postulants, we assure them of our constant support and prayer.